The 2016 MotoGP season has seen Valentino Rossi once more try and achieve that elusive 10th World Championship. Having missed out on the title to his teammate Jorge Lorenzo in 2015 by just five points, Rossi was more determined than ever at the start of the season. The Italian hopeful that the return to Michelin tyres and the new spec electronics would give him the boost he needed to lift his first MotoGP World Championship since 2009. 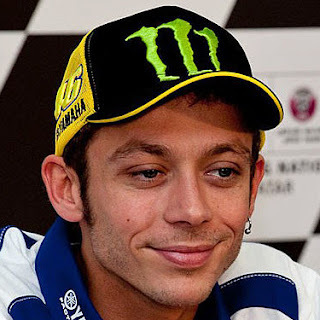 Ahead of the very first race of the season in Qatar Rossi announced he would be staying in MotoGP™ until 2018, the 37 year old extending his contract with the Movistar Yamaha MotoGP™ team for another two seasons. The Italian had to settle for fourth during the race after an excellent battle for second with Marc Marquez (Repsol Honda), and Andrea Dovizioso (Ducati Team). The Argentina GP was split into two parts with an enforced bike swap due to a tyre issue experienced by Scott Redding in FP4. Rossi would enjoy an excellent fight with Marquez during the first part of the race, but admitted his start with his second bike cost him the chance of for the win, eventually crossing the line in second over seven seconds behind his rival. In Austin Rossi went on to record his first DNF since Aragon in 2014 as he crashed out of the race, bringing an end to a run of 24 consecutive top five finishes. InJerez he would bounce back in style by winning the race from pole and leading every lap across the line for the first time in his illustrious career. 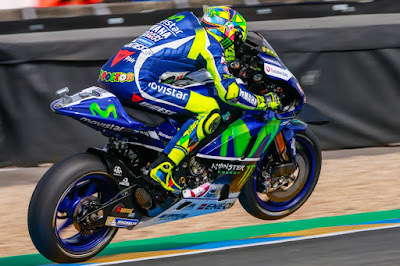 At Le Mans, Rossi’s worst qualifying performance of the season saw him forced to fight his way through from seventh on the grid to take second behind his teammate and championship leader Jorge Lorenzo, with just twelve points separating the two in the standings. Disaster for Rossi at his home race in Mugello followed as the Italian suffered a dramatic engine failure when battling for the lead with Lorenzo after starting from pole, the first time a technical issue had forced him to retire since the 2007 San Marino GP. His second DNF of the season saw him trail his teammate by 37 points in the championship and he knew he had to fight back immediately at Barcelona. That he did, as Rossi came out on top of an excellent scrap with Marquez over the last few laps at theCatalan GP. This time it was his teammate Lorenzo who crashed out of the race, meaning it was all change at the top of the Championship standings with Marquez now leading with 125, Lorenzo in second (115pts) and Rossi in third having reduced the gap to the top to just 22 points. Just when it looked liked the ‘Doctor’ had clawed his way back into the fight for the title, Rossi was caught out by the tricky conditions at a wet Assen, crashing while leading the restarted race. Another disastrous result followed in the flag-to-flag race at theSachsenring, as Rossi could only manage to cross the line in eighth. This has left Rossi’s hope of a tenth title in tatters, as at the halfway point of the season he now finds himself trailing Marquez by the margin of 59 points in the championship.